Professor Duane Tananbaum’s new biography of Herbert H. Lehman was hailed by The New York Times this past Sunday. Longtime Times journalist, Sam Roberts, devoted his entire weekly Bookshelf column to Tananbaum’s magisterial new tome, Herbert H. Lehman: A Political Biography (SUNY Press; $45). At 959 pages, it is the definitive biography of the great U.S. Senator, New York Governor, statesman, and namesake of Lehman College. 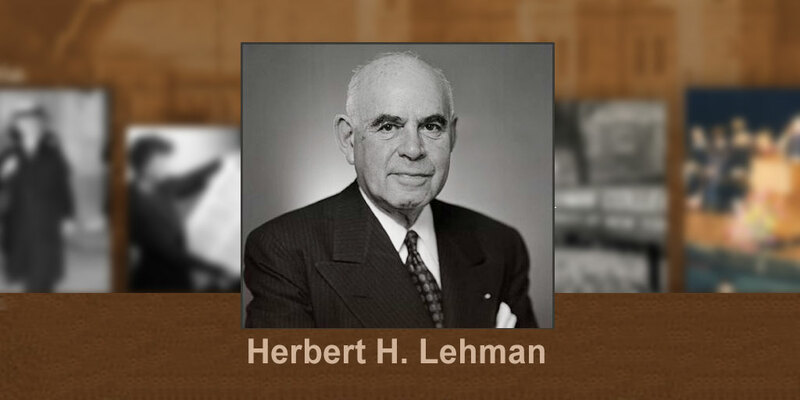 Mr. Lehman began New York’s Little New Deal, pressed President Roosevelt early on to respond to Nazi persecution of the Jews, battled red tape in Washington to relieve hunger. As Tananbaum, a longtime member of the College’s history department writes, “Lehman has been largely ignored by scholars and forgotten by the general public.” Now, thanks to Herbert H. Lehman: A Political Biography that may change.